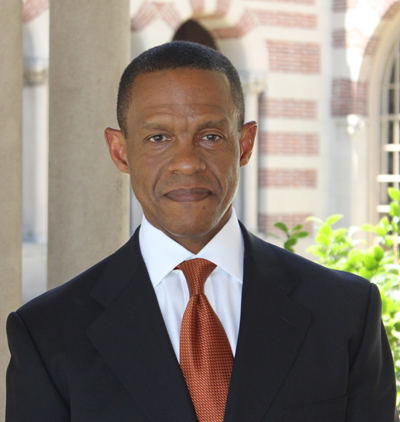 Dr. Erroll Southers is an internationally renowned counter-terrorism expert at the University of Southern California, Managing Director of Counter-Terrorism and Infrastructure Protection for TAL Global Corp. and author of Homegrown Violent Extremism, recently published by Elsevier. Previously, he was also Chief of Homeland Security and Intelligence at Los Angeles International Airport and an FBI special agent. Just after 9 a.m. on Friday, a gunman walked up to a screening checkpoint at Los Angeles International Airport (LAX) and opened fire. The attack by Jason Anthony Ciancia, a 23-year-old New Jersey native living in Los Angeles, resulted in the first on-the-job death of a Transportation Security Administration (TSA) officer. Ciancia was an alienated young man who embraced an anti-government ideology. He believed his constitutional rights had been violated by TSA, and a note discovered in his belongings mentions a "pissed off patriot" who is upset with former DHS Secretary Janet Napolitano. As LAX operations came to a halt and passengers poured out of the airport, I was wrapping up a book event hosted at Rutgers University. My talk centered on my book, Homegrown Violent Extremism, and the notion of attack utility, which is the estimate of an attack's results with respect to the target's value. These results are associated with critical infrastructure disruption, economic consequences and psychological impact. Ciancia's attack yielded substantial utility. The attack terminated air traffic at the number-one "point-of origin/point-of-destination" airport, meaning more flights originate or end at LAX than anywhere else in the world. The attack directly affected 1,550 flights and 167,050 passengers, and the cascading infrastructure effect was almost immeasurable. The entire aviation system was disrupted, with flights across the globe being delayed, rerouted or cancelled as the LAPD and FBI secured the crime scene at LAX. This also affected the air cargo system, car rentals and hotel reservations, sales at airport restaurants and stores, and indeed, all of the associated services and systems (physical and virtual) necessary to support the aviation domain. The utility of attacking a critical point in the aviation system is enormous, something the homeland security community is intensely aware of given lessons from 9/11. In a report immediately after the September 11, 2001, attacks, an elaborate (albeit estimated) economic impact assessment was presented identifying a collection of noteworthy financial impacts: "Total loss from stocks – $640 Billion. Building and construction losses – $30 Billion. And 20,000 job losses in a major hotel chain." One would presume noted economists produced these figures. Instead, these were the remarks by Osama bin Laden in his first post-9/11 interview. The potential successes of asymmetric attacks on critical infrastructure targets – by an organized cell or a lone attacker (such as Ciancia) – cannot be understated. When I served as Chief of Homeland Security and Intelligence for LAX, the priority of life and public safety was always closely followed with concerns over system and business continuity. This is true for all international airports, and it helps explain why there has been such staggering investment in aviation security. No other critical infrastructure has and continues to receive more attention than aviation, despite the knowledge that trains and even hotels are more often the preferred targets for violent extremists. Yet, the severe disruption that resulted from Ciancia's attack is evidence of why securing the aviation domain is so important. It only took one man with a gun to completely disrupt the global system. Attack utility is not limited to physical infrastructure and systems. While Ciancia was ostensibly motivated to attack TSA, his actions (and those of other homegrown violent extremists) have a critical impact on the public psyche. One of a government's key functions is security. Any successful attack reveals the troubling truth that citizens are always vulnerable to attacks, regardless of policies, processes and technology in place. When these countermeasures are compromised, attackers are effectively saying to the public, "your government cannot protect you." Recognizing that, despite all security and counterterrorism investments, there remain numerous opportunities and methods for a motivated violent extremist to achieve debilitating attack utility, the new security challenge for the United States (and other countries) is to disrupt an attack before it occurs. This means stopping the potential attacker and not just securing critical targets. At the book event, we discussed the three elements in homegrown violent extremism: an alienated individual, a legitimizing ideology and an enabling environment. Of these, the environment is most susceptible to positive influence. Given some troubling communications from Ciancia to his sibling, the family promptly notified law enforcement officials, as they were concerned for his safety and the safety of others. Alerting authorities about signs that a person may turn violent can be a difficult decision, particularly when it involves a family member. Yet, when a community takes responsibility for monitoring itself, it amplifies the nation's capacity to detect and deter violent actors. Neighbors, friends, family and colleagues know community members in a way law enforcement never could, and they are in the best position to identify when someone is heading down a violent path. The incident certainly disrupted operations at LAX and around the country, but without viewing the video tapes we can only guess who did what and why. No doubt security can be changed and strengthened to address this sort of threat in the future, but security, like locks, is only effective against honest people. The greater threat to airport security, however, does not come from passengers or the general public; but rather from TSA employees and other airport workers. I've witnessed a TSA shift change and watched TSA personnel and their bags pass through security without being scanned, x-rayed, or subject to a metal detector. TSA employees are supposed to go through a background check, but even so, a criminal background will not disqualify an individual from employment. And of course, TSA is an equal opportunity employer, and does not discriminate on the basis of religion. The real question should be how can an organization that hires criminals, turns a blind eye toward employee theft and justifies misconduct, condones abuse and sexual assault of passengers, destroys video evidence of employee misconduct, damages property, and does not screen its own people provide any security at all?